Resource management is the position in which one or more professionals are responsible for the delegation, budgeting and distribution of resources required by business processes. This is a key role in many if not all businesses, because without a resource management department, resources would either not reach their necessary destinations, or would the consumed too rapidly, and run out. Professionals in resource management operations are responsible for logistical surveys to determine when projects or processes may require additional resources, what sort of resources a process may require and to what quantity, and to ensure that resources are procured and distributed properly for all processes. This is a complicated job, involving statistics, mathematics public relations and various managerial skill sets, all of which are the only important. This is one of those positions that a company must always fill, regardless of economic climate or job market. Without a proper resource management operations staff, spending and waste it almost all businesses would be through the roof, and most businesses would bankrupt before they can even establish themselves. It's unfortunate that so few people are aware of this positions existence, unless they are business specialists. It is a lucrative field, as well as a fulfilling and challenging one, and this is one of the key departments that keeps a business alive. For those who have the right kind of interests, and mental makeup, this is definitely a field worth looking into. On top of being challenging and rewarding, as well as lucrative, this field offers a level of job security that only managerial positions can. However, this is one of those fields that requires a level of expertise and education to enter. For those who are interested in resource management operations, a resource management operations certification is necessary. In order to obtain this certificate, one must complete a competent resource management operations course. There do exist many incarnations of this course, but the best are obtained through online certification. Online certification is a very convenient, cost effective way to enhance one's learning. It allows a busy professional to study on their own schedule, giving them time to fulfill their existing job and personal obligations. Costly tuition is a thing of the past as well. Online certification is one of the greatest benefits of the digital age. However, there are many providers of online certification, so it's important to choose wisely which provider to use. Brainmeasures is the highest quality online certification provider around. We confidently make this claim, because of our unique, intuitive approach to designing courses. Our courses are designed by professionals who have significant experience and levels of success in their field. Not only do we work with them to ensure that our learning material is all-inclusive, but we also draw on the experience they bring with them. This experience is then imparted upon the student, while they learn. Upon completing a course with Brainmeasures, a student has a level of experience that otherwise would be impossible without spending years in the field. This certification consists of our high-quality resource management operations course. Upon completing the course, the student will then take our resource management exam, and upon passing it, they will receive a certificate. This certificate signifies a full and complete resource management operations certification. This course is designed so that anybody dedicated to becoming a resource management operations professional will be able to complete it. It goes without saying that as with any field, this is a field which requires a certain type of personality and mindset to fully be compatible. 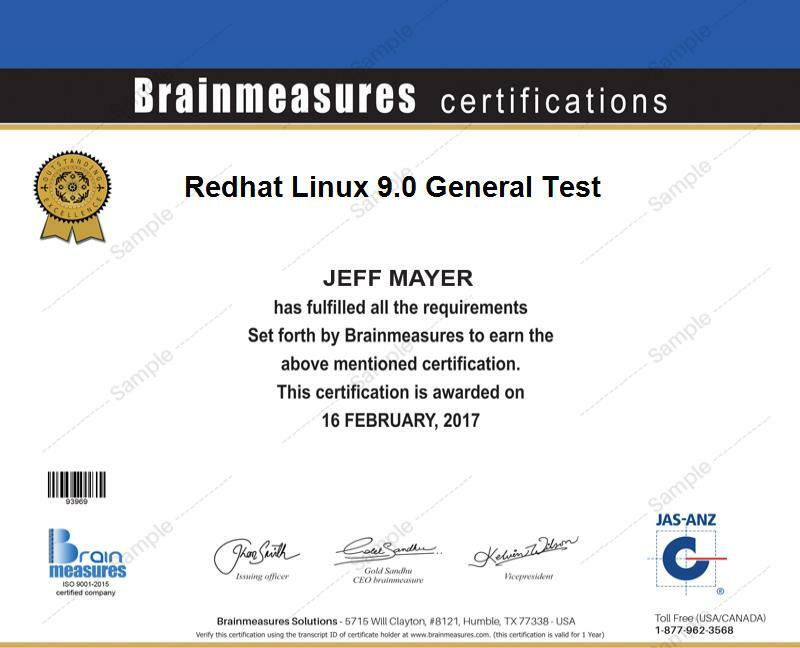 However, anyone who is researching how to acquire this certification has most likely already realized that they have the right stuff for this job. Salary can vary depending on company and field, but on average most of these positions can earn between $230,000-$512,000 per year. Those with significant success, and tenure with a company, may even see wages as high as $700,000 per year. This is quite a lucrative field.